Thanks to my blogging pal Eric at The Warning Sign, I decided to take some time out of my busy life and expand The Blog of Big Ideas to the review of videogames. This is something I had been planning to do ever since I started the site but I just had not gotten around to doing so. With all of that said, here’s my review of one of the most satisfying and entertaining games I’ve had the chance to play in recent years: Dishonored. 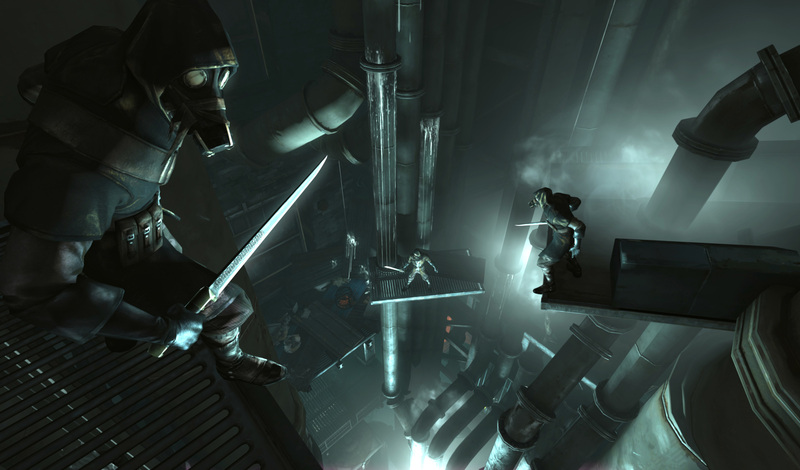 Dishonored feels like a mixture between Assassins Creed and Hitman. Much like those two famous titles, we inhabit one character, a man named Corvo, a sort of bodyguard/ diplomat/ assassin who serves the princess of a dystopian city-state called Dunwall where an epidemic very similar (if not exactly the same) to the black plague has ravaged most of what we get to explore. Corvo, as we soon learn, is a rather talented individual. He not only has above average physical abilities, but in his quest to save the kingdom and avenge his Highness, Corvo is chosen by an ancient mythical figure who grants him access to magic powers. After reading the previous paragraph it would be easy to dismiss Dishonored thinking the storyline is unoriginal and silly. However, what sets the game apart is not so much the type of game it is, but how neatly it is designed. 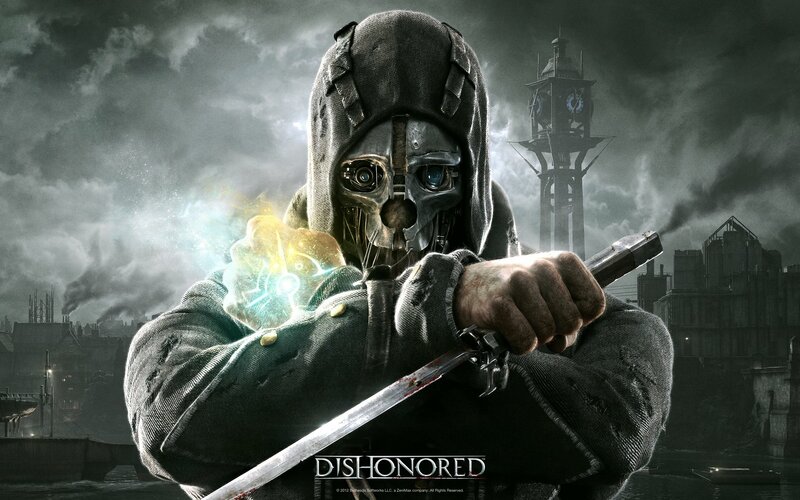 Borrowing from the best hero types the gaming industry has given us recently, Corvo is a nearly silent figure that is capable of bringing down an entire government with the use of some pretty awesome set of abilities. Not only are these magical gifts presented to us in a rather unique way, but they can also be used in a neat and instinctive manner. At the same time, the city of Dunwall is a beautifully realized environment that despite its limiting walls, offers Corvo a wealth of possibilities that can make anyone’s experience of the game rather unique and memorable. Dishonored is a game of choices. Like Fable once did and many other games have done since, Corvo is whoever we want him to be. He could easily be a very violent individual thirsty for revenge or one who carefully slips through the cracks to bring the plot against him and the monarchy to its demise without killing more than a couple of key enemies. Though the choice is at our fingertips, the game clearly favors stealth over a more direct and violent approach. First are the rewards in the form of trophies and statistics that place a premium on being less notorious. Second are the abilities of Corvo that allow him to be the stealthiest assassin yet, rather than a kamikaze that often times cannot cope with multiple enemies at once. Third is the fact that a less violent path renders a less troubled city which can sometimes be of help, especially in later levels. The choice system also extends to how we use Corvo’s powers on each level. The game is, in fact, designed to present us with several magical possibilities, choosing which abilities to develop since there won’t be enough time to use them all. Should we choose violence on occasion, the amount of magical options at our disposal can make killing enemies a rewarding experience every single time, which helps in keeping the game fresh and non-repetitive. 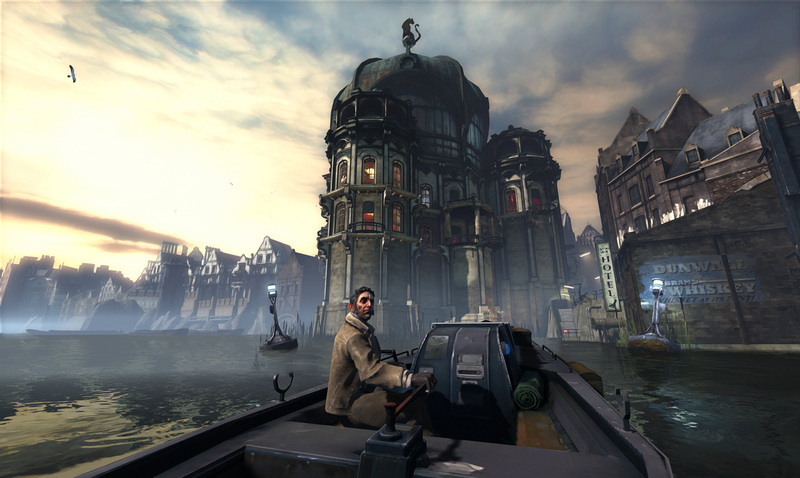 Being the first game in a potential franchise, Dishonored suffers from some of the typical problems that tend to affect an original entry. Despite the careful design of each level and of the wealth choices we have, it feels as if the developer chose to keep things as sophisticated as possible by limiting the boundaries of our exploration and favoring the kind of outdated level design that now seems out of fashion. These are obviously deliberate attempts that probably stem from a limited budget, forcing Arkane Studios to scale the size of the game in favor of good design. This is evident not only in the small and short levels, but also by the limited diversity of the enemies we face and the repeating lines of dialogue that come up time and time again. Hoping a sequel is announced, Dishonored may not be as sprawling as Grand Theft Auto IV or Skyrim, but it more than makes up for its restrain by giving us a highly original experience defined by choice and lived in one of the most fascinating environments I’ve ever experienced in a game: the city of Dunwall. The bad: too short, it called for a more open-ended world. From the sounds of it, this was a profitable endeavor for Bethesda, so there should be a sequel at some point. I’m just happy that they took the plunge in the first place — it’s not often we get new, quality IPs so late in a system’s life cycle. It does sound like the game did pretty well and I’m really hoping they’ll make a franchise out of this. When I started the campaign I was pretty much causing havoc and killing most people in sight, then I started finding more pleasure in being sneaky so I tried my hardest to use stealth and I managed to do about half of the missions without being detected a single time. Needless to say, it took me a much longer time to complete the entire thing. Thanks for stopping by Eric!